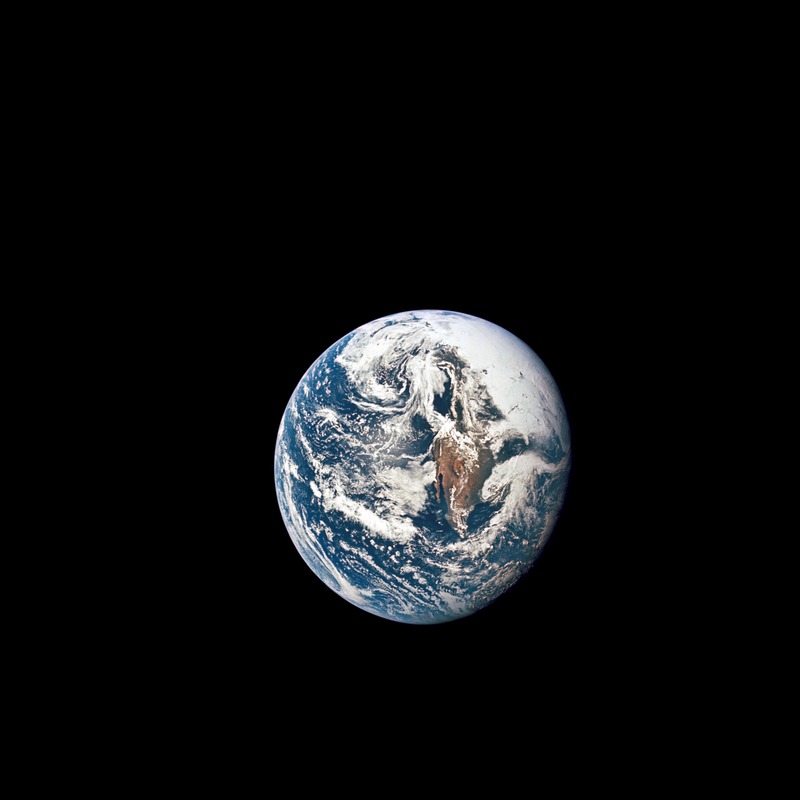 Earth Day 2012 reports a half a dozen wars, your brothers out of work and the governments on the blink. The price of goods is on the rise, there’s no fish left in the sea. Floods are deeper, droughts are longer, mountains flattened, forests gone. I’m not going to kid you, it’s a mess. A tragic mess and there is no excuse. It is beyond comprehension that the issues that threaten our very existence are still ignored, slighted and scoffed at. All in the name of selfishness and greed. I get so mad I could spit sometimes. Wake up people, wake up! NASA photograph. 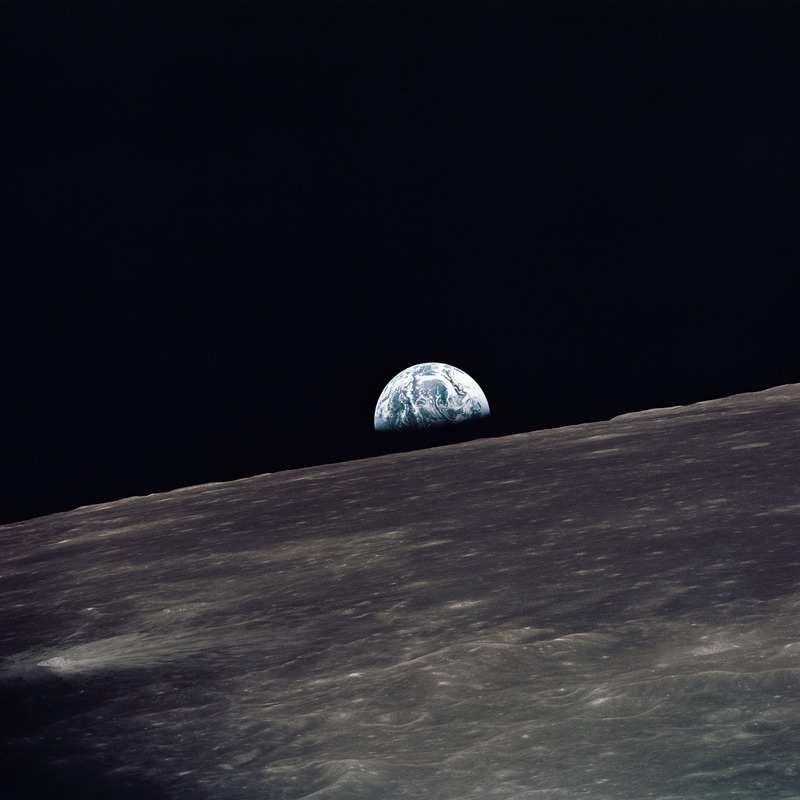 Earthrise aboard Apollo 10. “Never doubt that a small group of people can change the world. 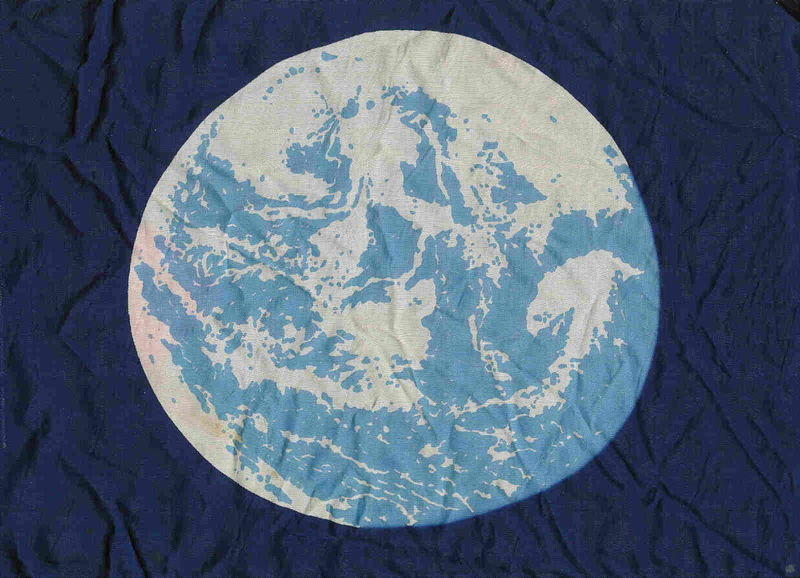 Earth Day founder and pioneer John McConnell was inspired by the first photographs of the Whole Earth taken aboard America’s Apollo 10 space mission in 1969 and he designed the original Earth Flag. The simple compelling symbol gained immediate world-wide recognition. It has been presented to U.S. presidents, foreign dignitaries, leaders of the United Nations and flies at Earth Day celebrations around the world. Anthropologist Dr. Margret Meade carried what she called “the flag for all people” with her wherever she apeared from 1969 until her death in 1977. This entry was posted in Air, earth, environment, Fire, the hungry brain, water and tagged Earth, history, Peace, Politics, sustainable. Bookmark the permalink. It makes me mad, too, and perplexed that people don’t seem to get it. What don’t they get?? I’m working on it too to try to show people, open their eyes, wake them up…whatever it is they need in order to see. ps your farm looks so nice! There are a lot of people that have no connection to the land or nature and have no idea how the world works. It is if they don’t know they live on Earth. frightening. They have no concept that food does NOT come from a store, and garbage does not magically disappear. Thanks for caring. I mean- when even several stern governments are changing their view and attitudes in questions related to drugs and their decriminalisation, then somthing REALLY must be going on, haha..! I like your blog too, earthstonestation! Yes Sam we are in transformative years and the voice of the people is now heard like never before in history. A lot of good has been accomplished. Thanks for your comment on my blog. What df says is totally true – and sad. Incidentally, there are sisters out of work too. Just saying. We all need to say the same thing about the environment, just sometimes differently, for different audiences, which is why my messages are softer than yours. Same one though. I don’t think many folks will believe it’s true until they go to their grocery store and can’t get food or to their gas station and can’t fill up their car. Or those things inflate in price beyond their grasp, which is much the same thing. Where I live loads of people got onto their bikes and on the buses a couple of years ago when fuel prices spiked, but as soon as prices came down they (mostly) went back to old habits/preferences. Yes, it is a mess. We must spit a bit more and shout a bit louder.